There’s nothing more fulfilling to Dr Philip Chou (Dentist) than the ability to transform the way Camp Hill families feel about their smiles. If you are embarrassed by the way your teeth look, you ought to consider what a bit of cosmetic therapy could do for your self-confidence. Whether you suffer from a discoloured enamel, chipped teeth or even missing ones, Dr Chou can cater your cosmetic experience to create a smile you’ll feel proud of showing off. What Type of Cosmetic Dental Treatment Do I Need? Porcelain Veneers: Completely mask the appearance of your teeth with customised veneers. These thin shells of porcelain are bonded over the front of your smile to create the illusion of perfectly straight, white teeth. Professional Teeth Whitening: Safely erase years of tooth stain with our prescription strength whitening kits. We recommend whitening your smile before starting your smile makeover but check to see if your teeth are healthy enough, first! 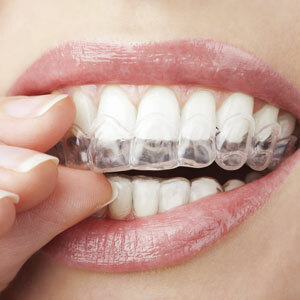 Invisalign® Orthodontics: Clear Invisalign® braces are ideal for realigning teeth towards the front of your smile. They offer a fairly conservative option for enhancing both your appearance and oral health. In some cases, orthodontic treatment can be completed in as little as four months. White Fillings: Made of custom matched composite material, white fillings repair areas of tooth decay without leaving an unsightly metal restoration behind. Crowns or Bridges: Repair or replace broken and missing teeth with an aesthetic, functional restoration. Your new “tooth” is custom matched to blend seamlessly with the smile around it. Take the first step to having a smile that you can feel confident in. Contact Vital Dental Care in Camp Hill today. We’re open early, late and even on Saturdays! Shop 2-3, Camp Hill Marketplace, 25 Samuel St.